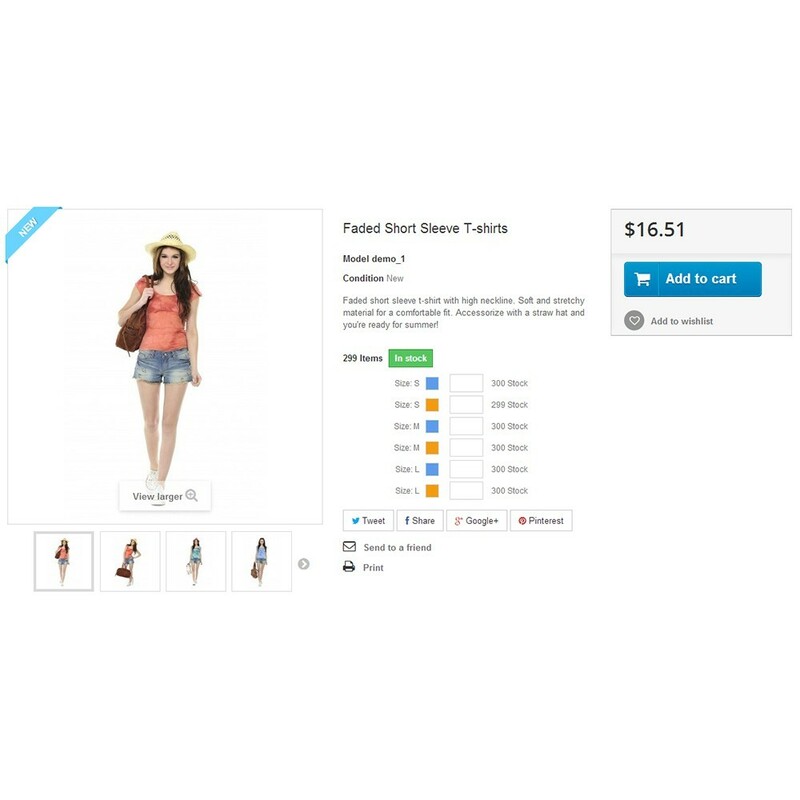 This module allows customers to add products with different combinations to cart. This is a great module for a wholesale store (but can be used for any store). This module is helpful for wholesale products. Less clicks means more and faster sales. 1. Add products with multiple combinations to cart in one click. 2. Shows color or texture next to each combination. 4. If no combinations are available, it shows quantity textbox to add more than one product in category page. 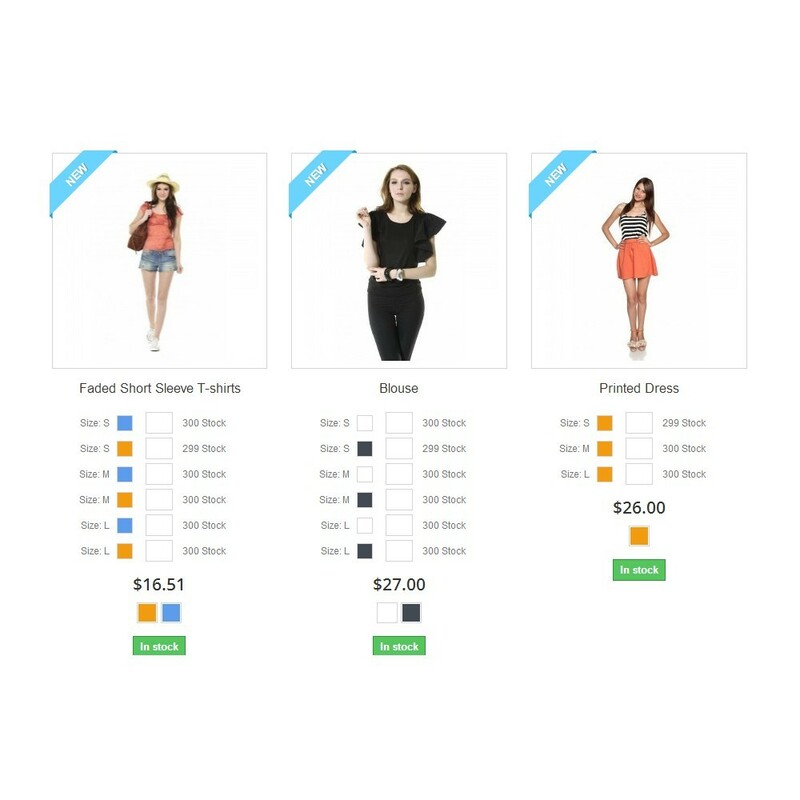 It lets the customers quickly add multiple product combinations with 1 click, and see all the prices. Customers can buy multiple products and attributes all from the product listing page. Buy more with less clicks. 2. 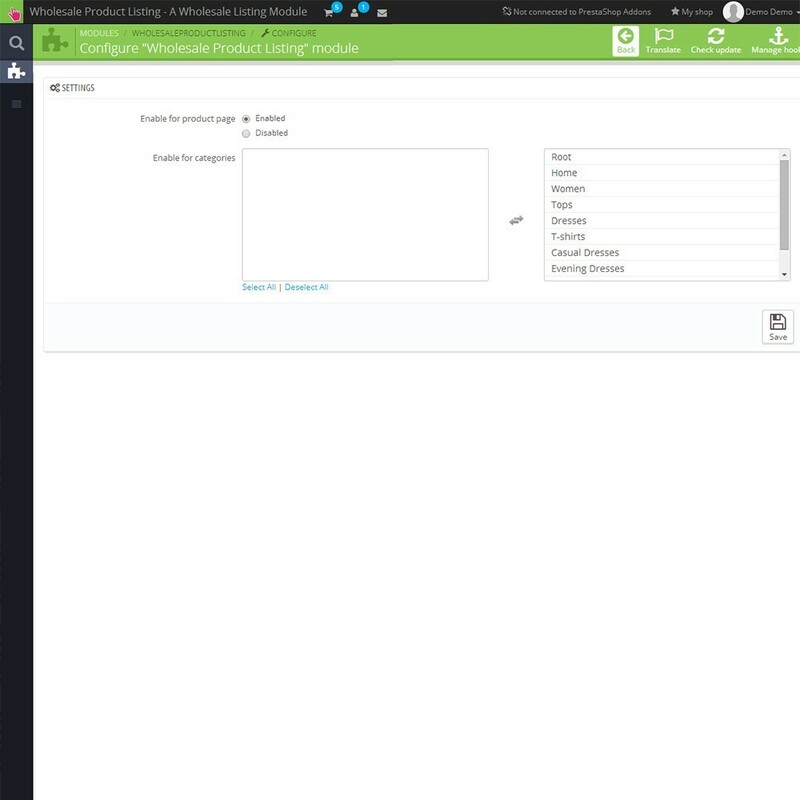 Configure module to enable for products page or categories. This module helps customer to add more combinations of products in single click from home page, product listing page, best sales page, special products page, search page, new products page, and product pages. Buy more with less clicks. Minimum Purchase /Order by Customer Group allows you to define minimum order amount by customer group.Propose wholesale and retail from the same shop.